The Steelers are bringing back tight end Xavier Grimble, a player who was set to be an exclusive rights free agent, meaning he couldn’t have signed with another club unless the Steelers forfeited its rights to him. Joe Rutter of the Pittsburgh Tribune-Review says that Grimble will ink a one-year deal with the team. Last season the 24-year-old pulled in 11 catches for 118 yards and two touchdowns. He played in 11 games as well as all three playoff games but didn’t have a catch. In his career Grimble has also played with Giants, 49ers and Patriots in his career. 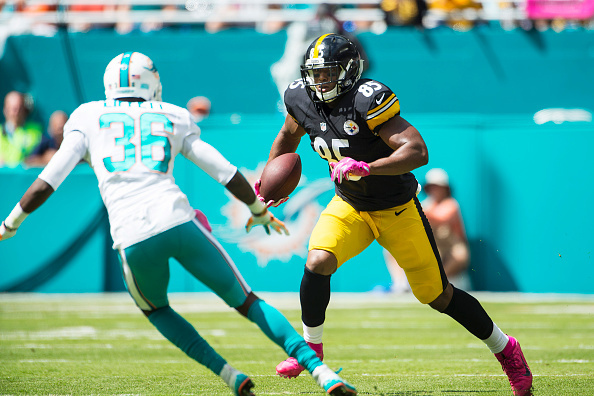 Be the first to comment on "Steelers Resign Tight End Xavier Grimble to One-Year Deal"